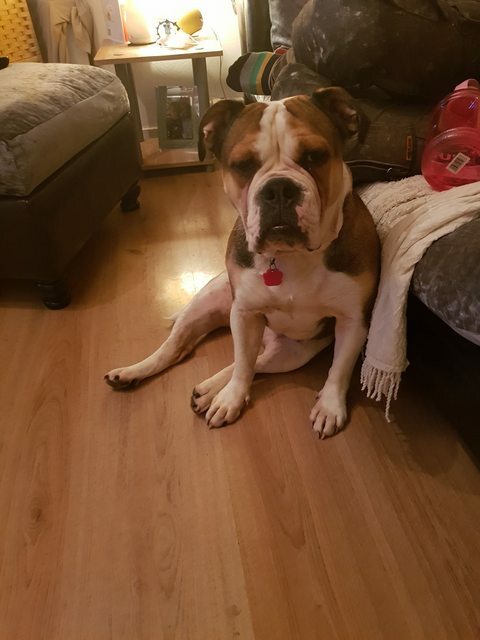 Orbee is a 2 year old female Bulldog who is spayed, vaccinated and microchipped. Orbree needs a child and pet free home, ideally with an experienced owner. 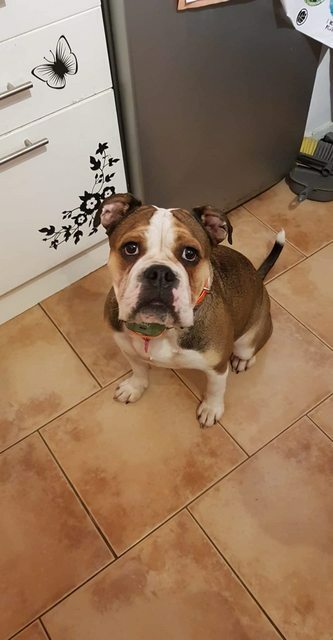 Her current foster home have worked hard with her to overcome some of the issues she came into rescue with, namely possessiveness with things and food, she will need to continue her training with toys so she knows being possessive isn’t acceptable. 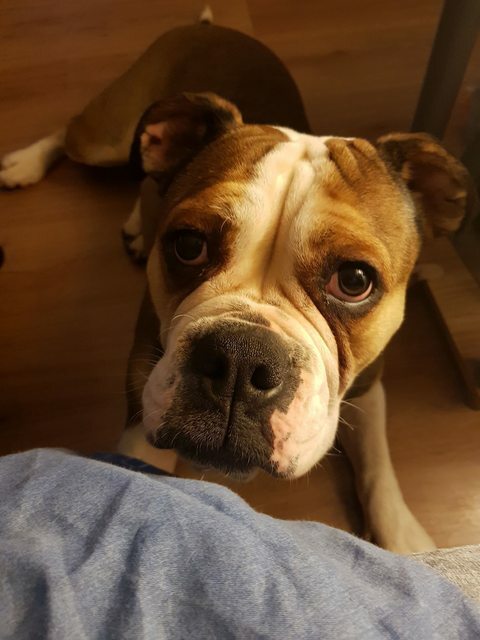 She is house and crate trained, and is happy in the crate when you leave the home. She is typically very strong willed, and she will benefit with ongoing training and boundaries set by a confident owner with a firm but fair hand. Her recall is good, and she walks well on the lead, and loves to run next to you on a bike. If letting her off lead we do recommend a muzzle for her as she can be picky with dogs, mainly high energy dogs. Orbree loves her toys, and will happily engage you in a game of ball that given the chance will go on for hours. For further details regarding adopting a dog from Team Ilbrey K9 Partners, please email k9partners@gmail.com or contact 07957 300644. Team Ilbrey K9 Partners specialise in rescuing large breed dogs, mainly mastiff and bull types, normally under 18 months old. All come full vacinated, microchipped and neutered if old enough, if not the adoption contract will stipulate that this is done as soon as old and this will be checked up with your vets.